If the narrative of Australian gin in the past few years is that place, passion and inspiration from nature, what can be said about gin made in our largest city? 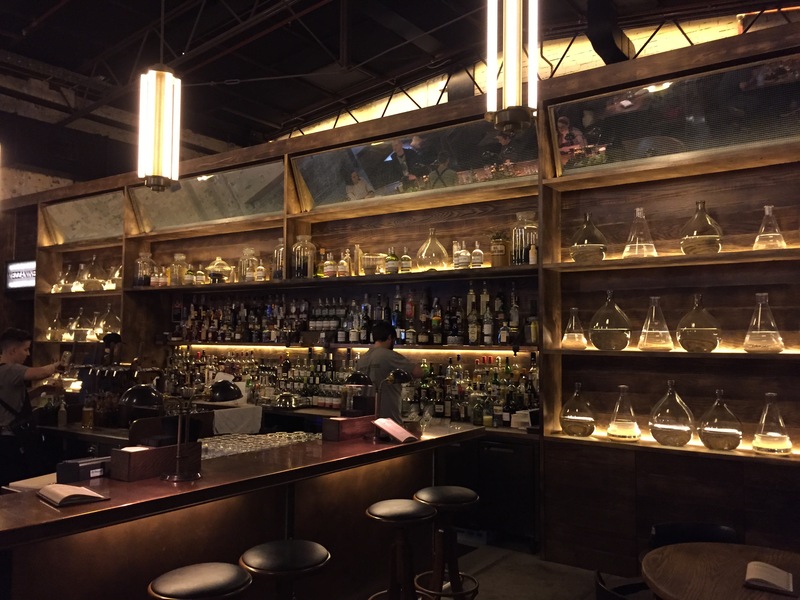 On a recent trip to Sydney I made a point of visiting two of its newest gin makers, Archie Rose Distilling Co and Young Henry’s in nearby Newtown, which will be the subject of a future review. There is also a new player there this year, by way of Canberra, Poor Tom’s. So Sydney is fast catching up on the craft gin craze. 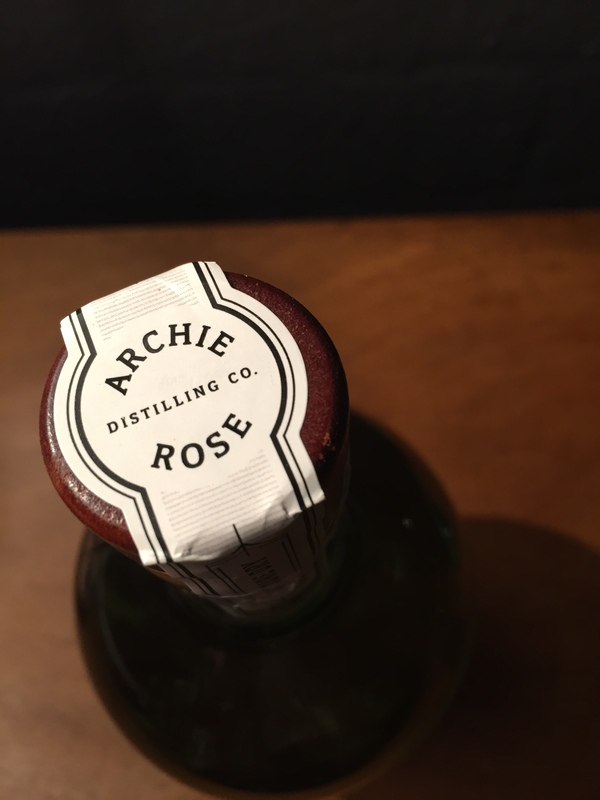 Archie Rose debuted in 2015 and lots of careful preparation, and no small investment of $ and expert advice, it was founded by 20-something, Will Edwards, who after a stellar corporate career wanted to do something more meaningful with his life and happily for us, created the Archie Rose Distilling Company. I suggest you have a read of this profile in BRW Magazine of him and the backstory of the entrepreneurial journey for the company. I have to say every aspect of the brand experience is first class and well thought out. The team all know their stuff, the text in the menus, the drinks themselves, the fit out and standards in the bar etc, all speak of a highly professional operation throughout. As Australia’s founding colony, Sydney saw distilling very early on and it was rum that provoked our one and only military coup, but there hasn’t been any distilling (legal anyways) for over 150 years until now. 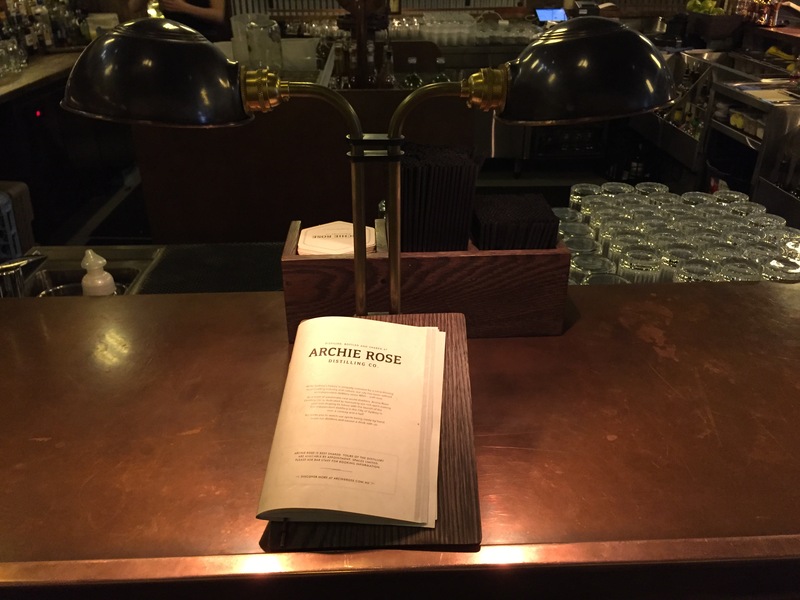 ‘Archie Rose’ is Prohibition Era slang for a place for hooch by the way I’m led to believe. The company currently produces a Vodka, a White Rye, the dry Gin and a Single Malt is happily ageing in casks as we speak. It’s worth keeping in mind that pretty much the craft distilling scene in Australia has been on the urban fringe or in rural settings. 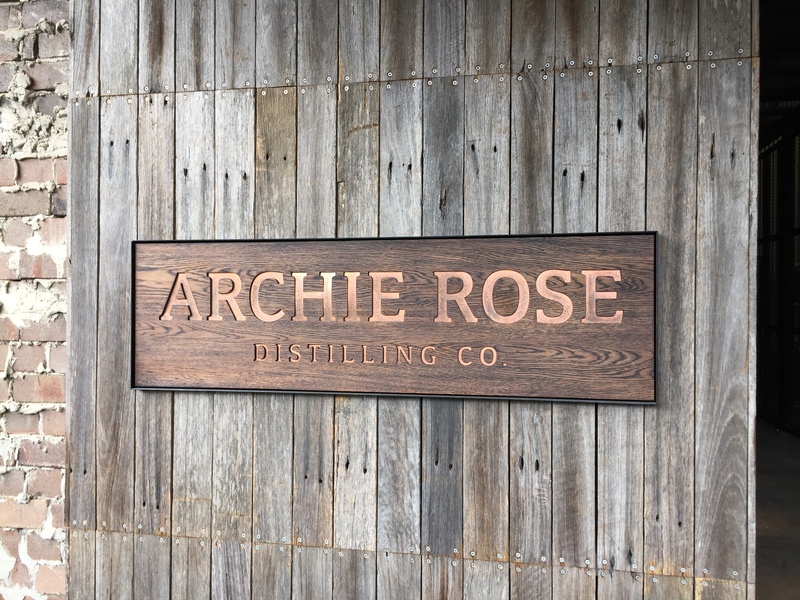 Archie Rose is perhaps our first urban distillery for quite a while, and Will took the trouble to visit some of the operations in Brooklyn and NYC to see for himself the challenges + opportunities these operations experienced. They feel at Archie Rose that there are commonalities between NYC and Sydney in terms of vibe and that has given them some inspiration in their approach. The whole complex is a very user-friendly experience not far from Sydney airport in a thoughtfully restored warehouse with the distillery and bonded warehouse in one side, and a lovely bar + tasting room on the other side open to all with an excellent range of spirits from around the world. The switched-on, personable and friendly staff who go out their way to make you at home. I had booked myself in for a tour of the distillery ( $10) and enjoyed a lovely G+T whilst I waited, some lovely locally made tonic rounded it out nicely. You can also book a place for tastings and buy flights of their spirits at the bar anytime. Some of our tour group were running late, so our guide asked nicely each of us if we were happy to wait a few moments longer, nice. 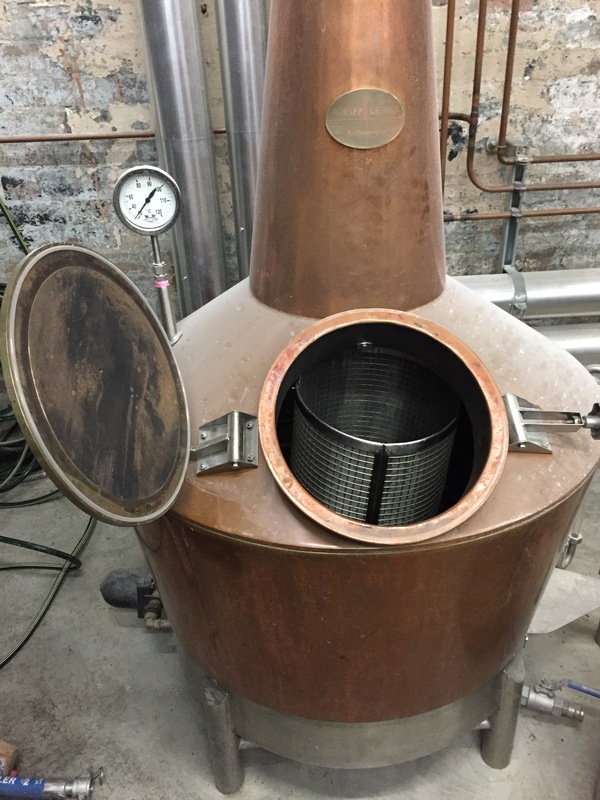 Aiming for a classic London Dry Style gin, it is distilled on the premises using a Carter Head style still. They produce about 60-80 litres per run. Distillation sees each botanical treated separately at the appropriate temperature. It’s worth noting that head distiller, Joe Dinsmoor, trained under the living legend of Australian distilling, Bill Lark in Tasmania. In fact, he practically grew up in the Lark Distillery, so we’re in very safe hands here folks. They use local water that has been filtered to supremely pure standard. Botanicals, besides juniper (apparently the place smells like a pine forest when they are distilling with that), include native Blood Lime, Dorrigo Pepperleaf, Lemon Myrtle, Coriander, Orange and River Mint from Western Australia, up to 13 botanicals overall. Each is individually distilled, then blended to ensure a premium product, rested for a month and bottled by hand. I noticed on the rather nice packaging on the label tick boxes for future gin releases including Old Tom, Limited and Sloe, so that’s a bit exciting! Neat chilled: on the nose its slightly oily and minerally. 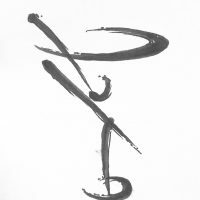 its very forward on the palette and soft, subtle + well integrated overall with no one botanical dominating. 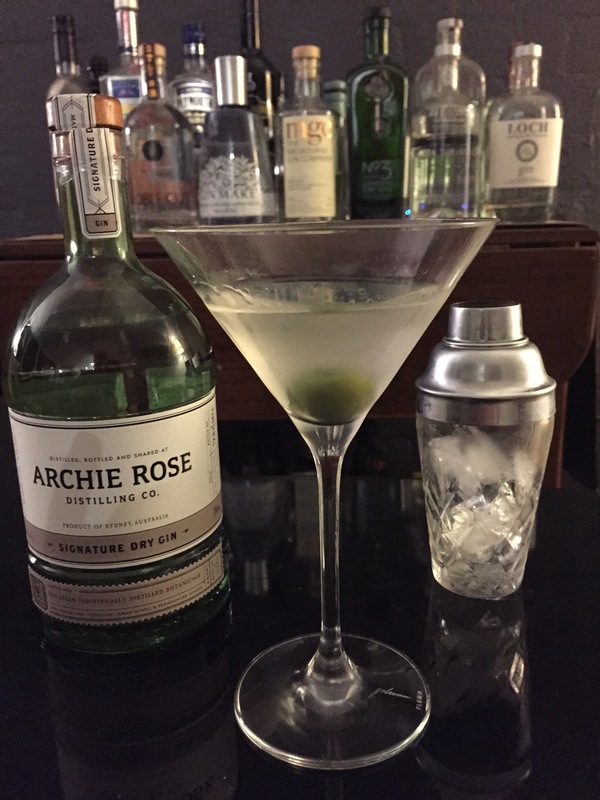 Dry Martini: Again a soft finish, its very refined + delicate, with the juniper forward to give it spice but not too pronounced and a lingering spice that is perhaps the Dorrigo Pepperleaf coming through. A very accomplished and polished debut from a company that has started as it means to go on with premium spirits. I think this gin is a represents one of the most refined Australian gins to date and applaud its subtlety and thoughtful use of native botanics which enhance the London Dry Style but not dominate it.